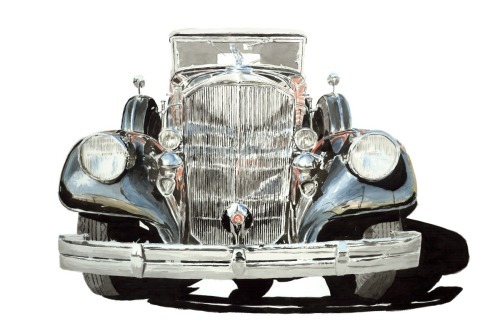 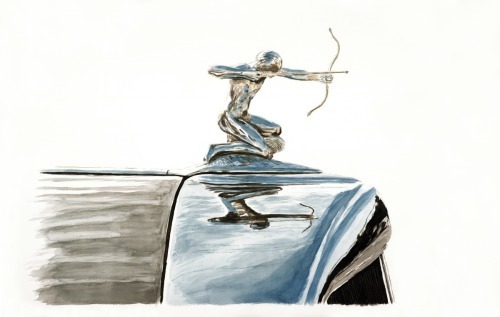 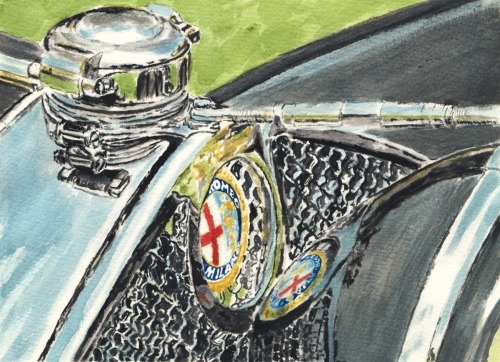 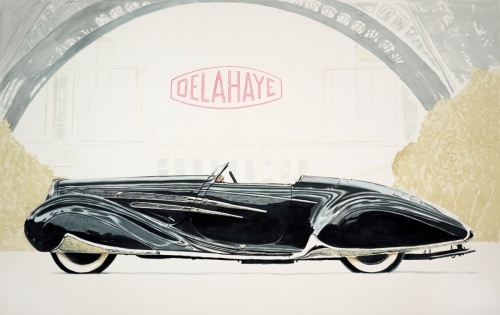 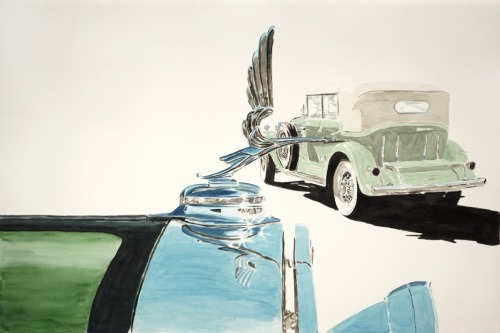 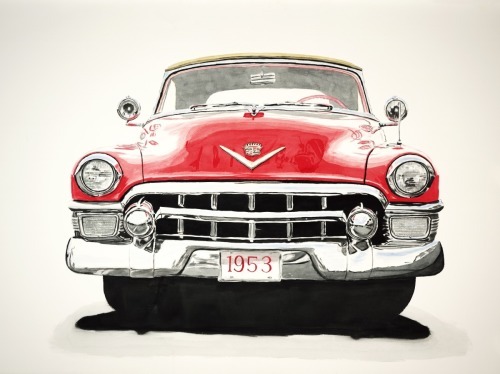 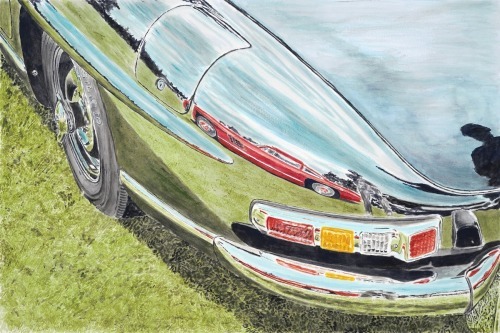 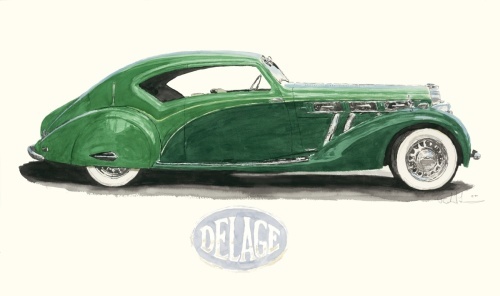 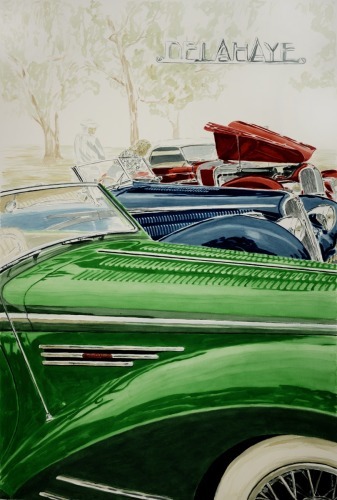 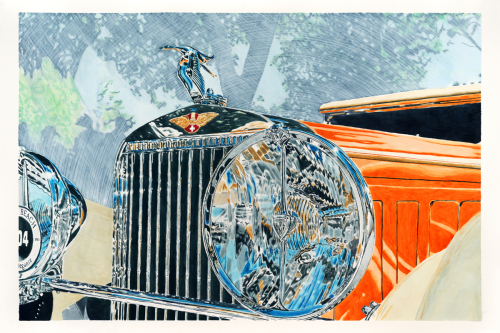 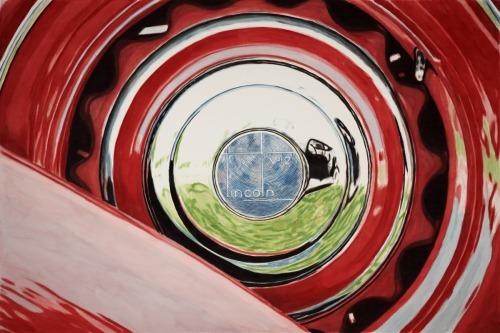 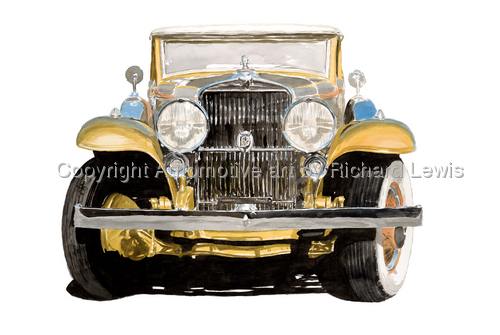 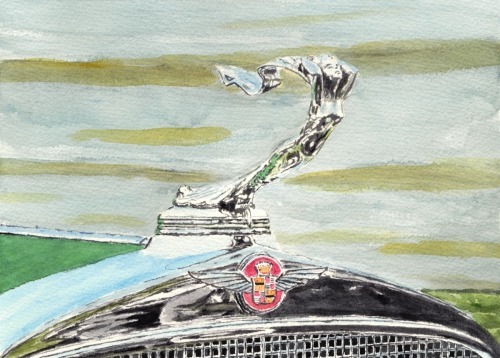 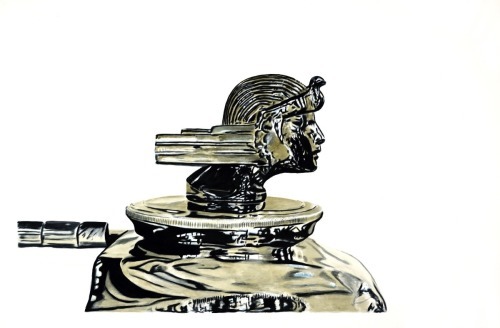 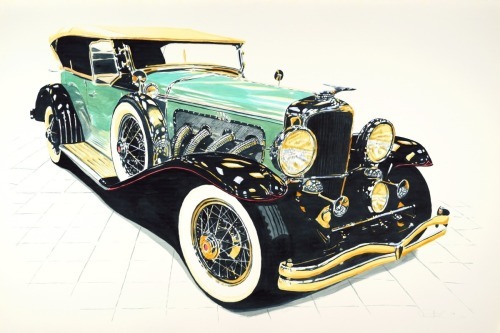 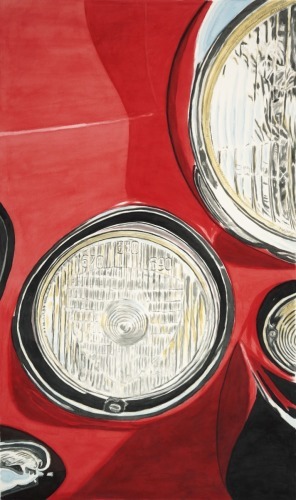 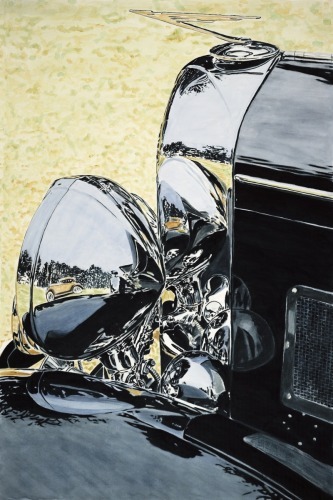 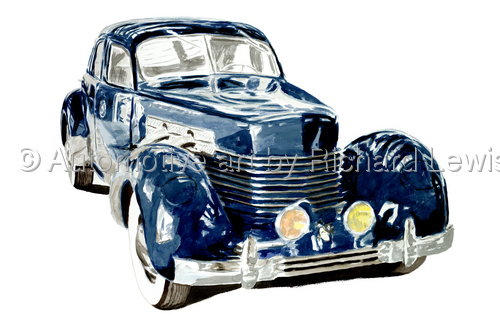 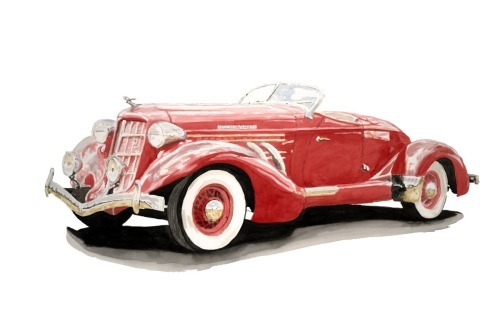 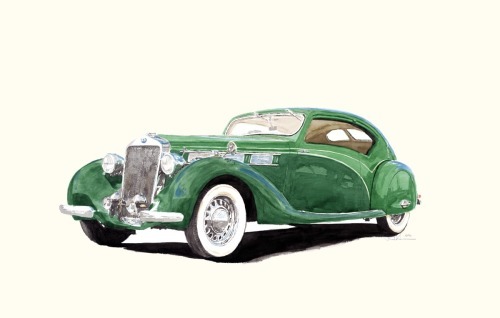 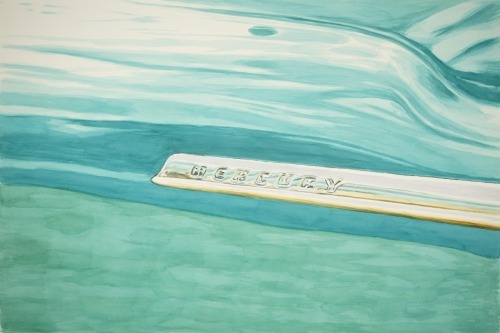 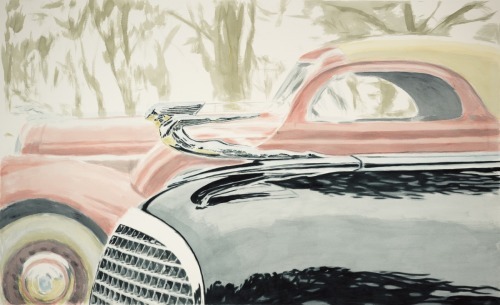 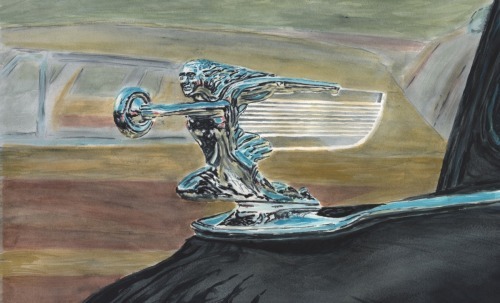 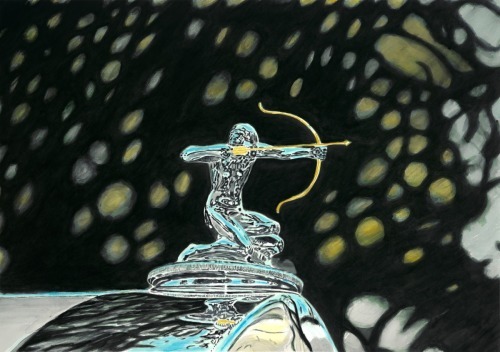 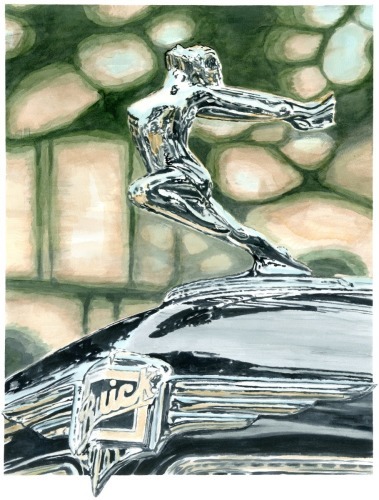 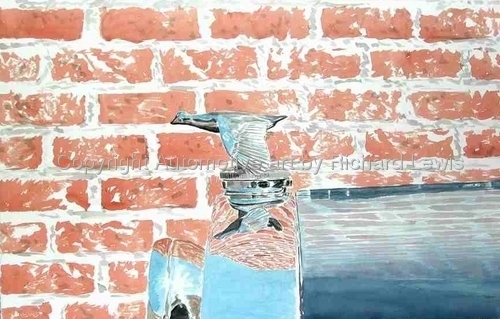 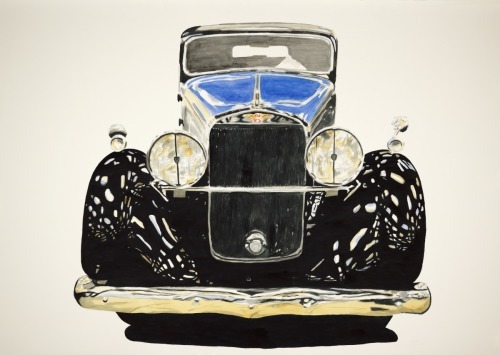 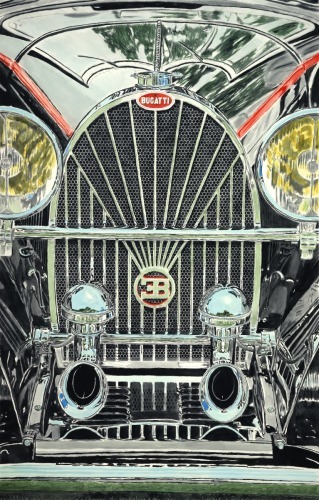 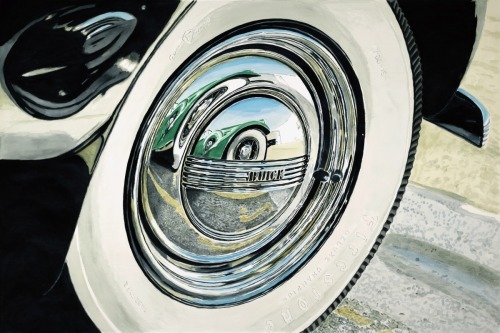 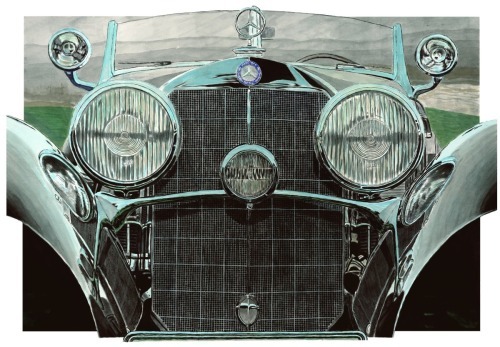 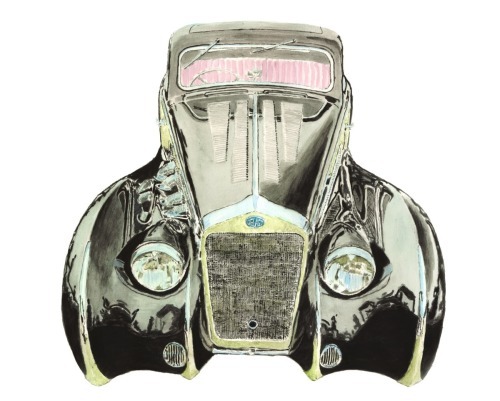 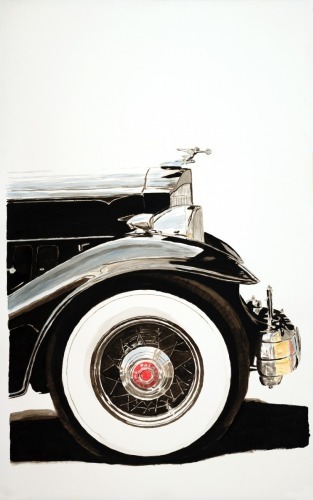 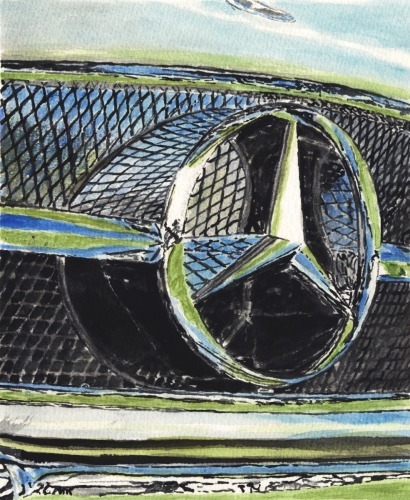 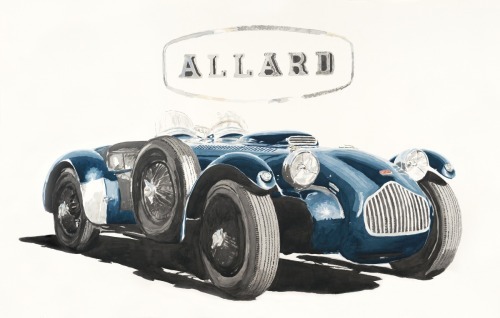 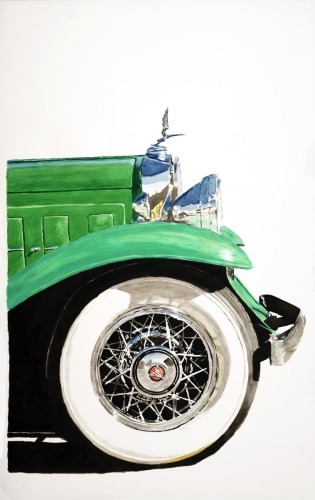 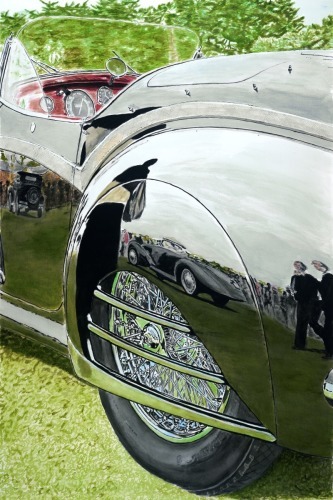 Watercolor painting of the grille of a Pierce Arrow. 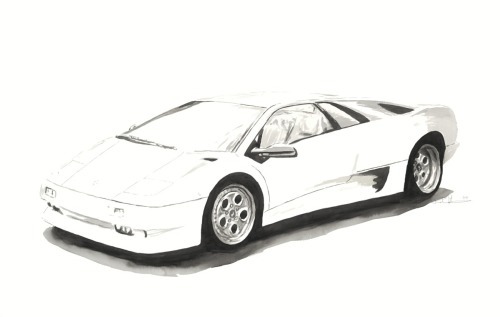 The original was lost in shipping. 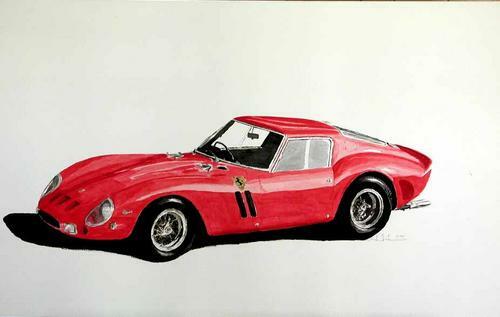 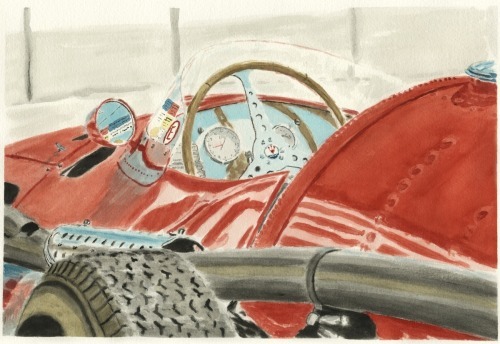 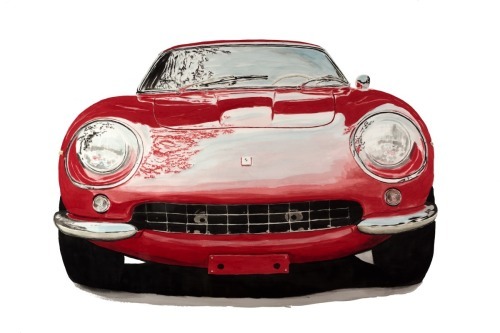 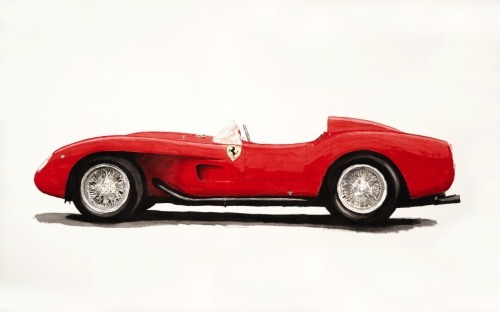 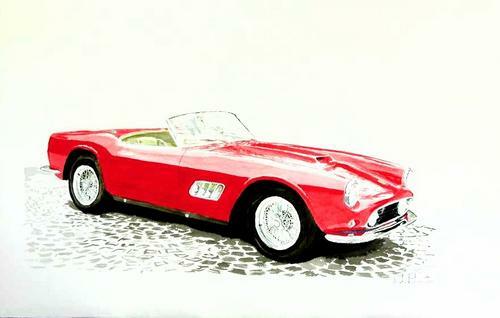 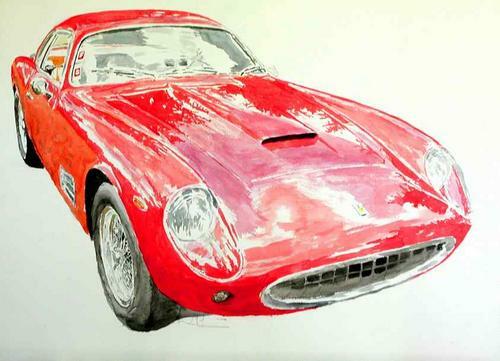 1955 Ferrari 375 America watercolor with Enzo in the backround. 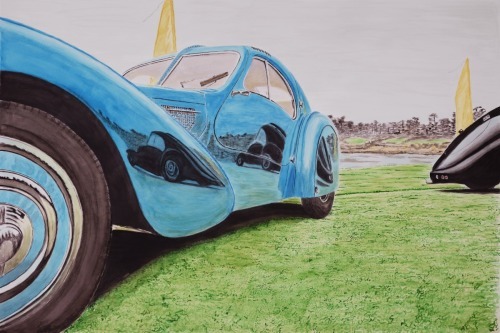 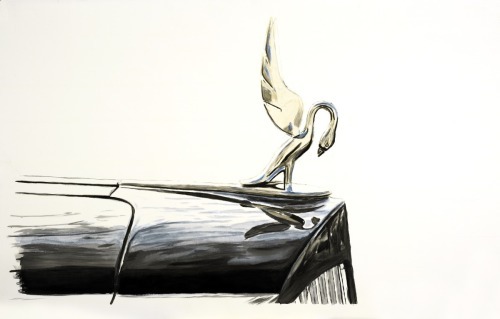 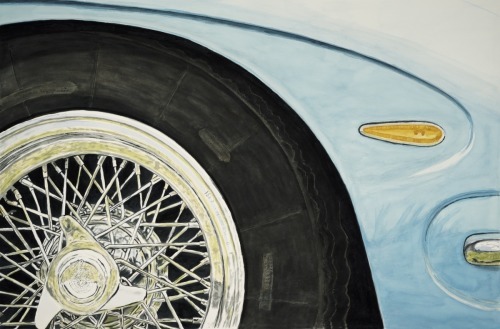 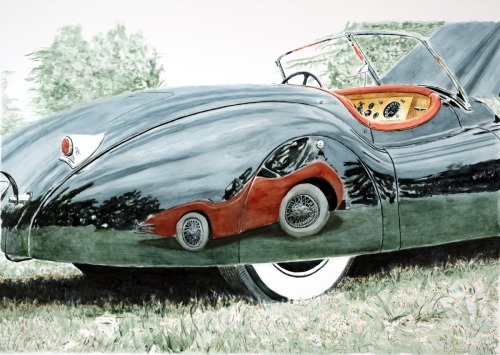 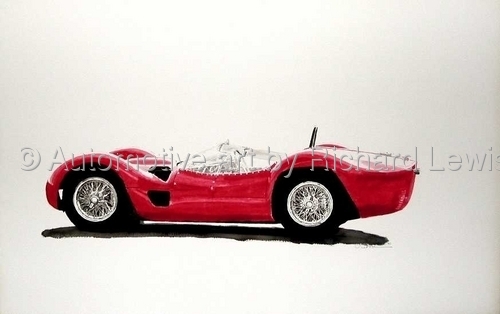 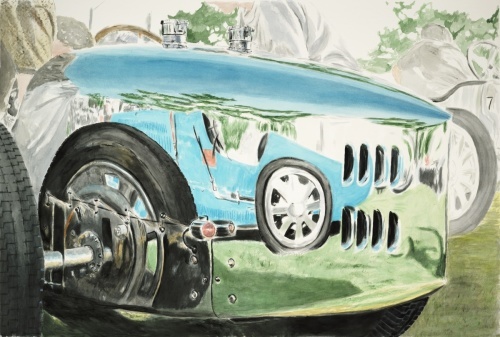 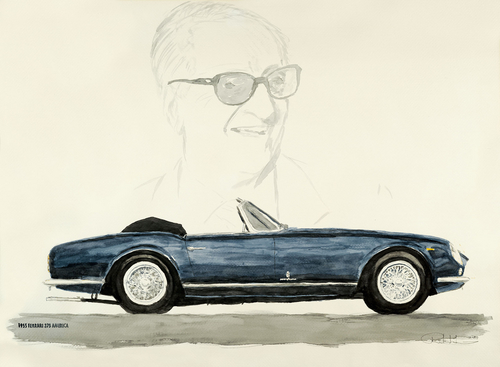 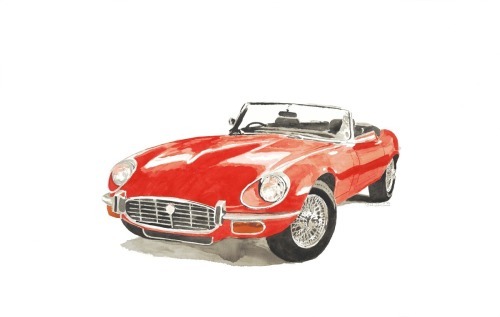 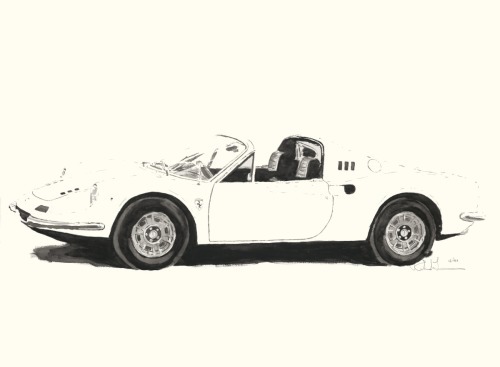 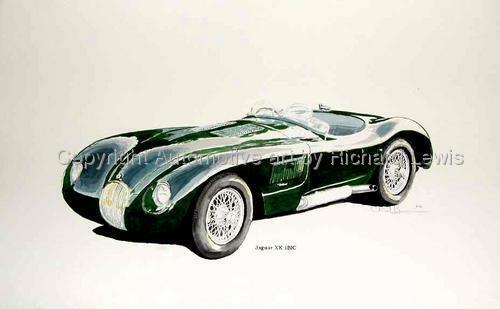 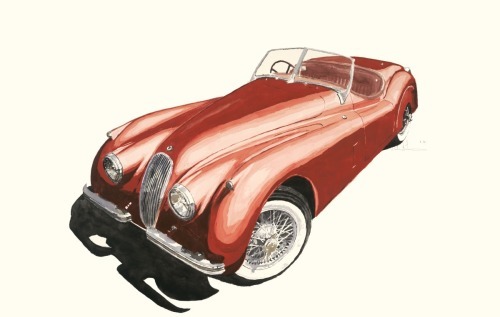 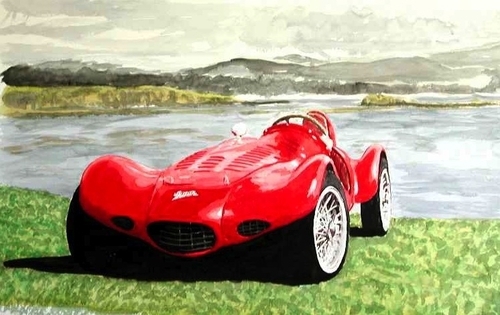 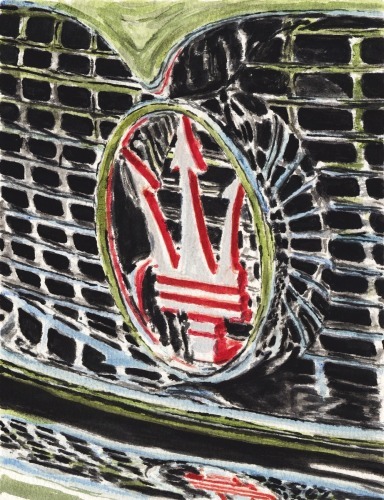 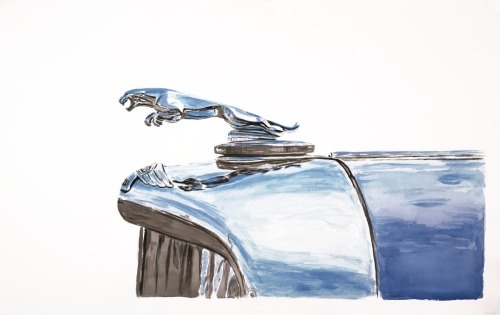 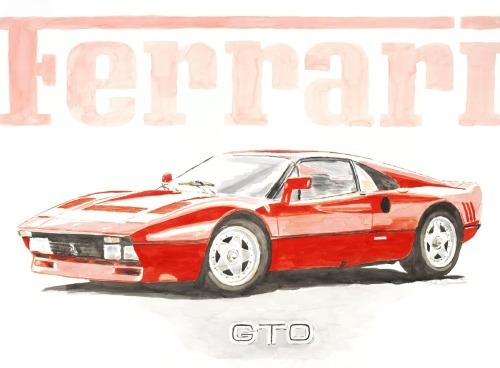 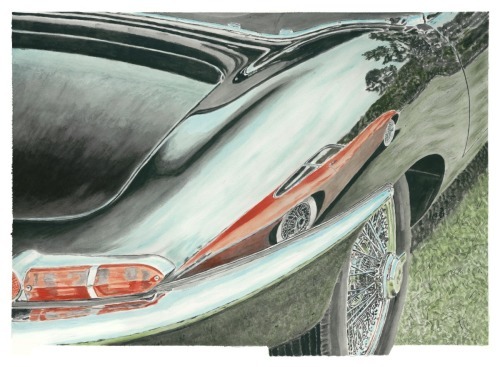 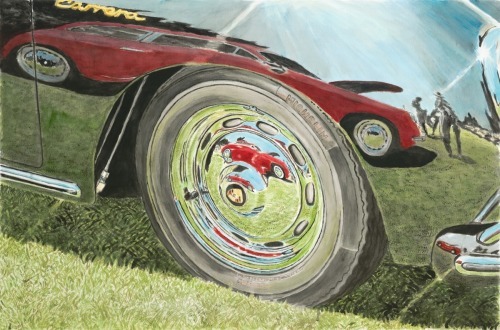 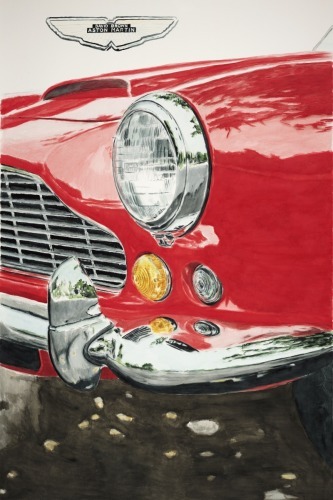 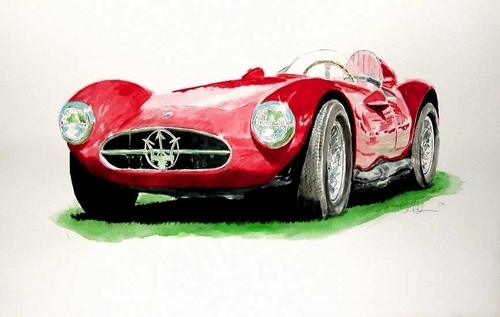 Watercolor painting of a Maserati. 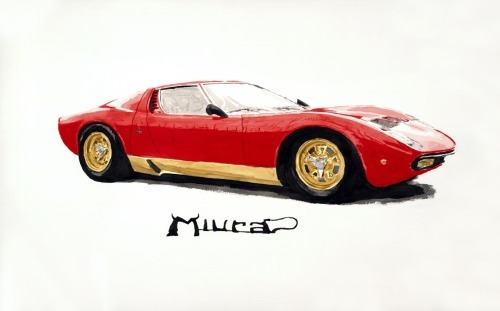 The original was lost during shipping. 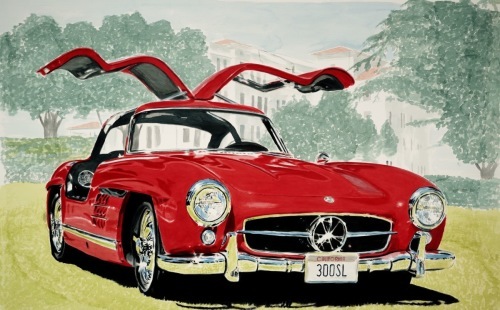 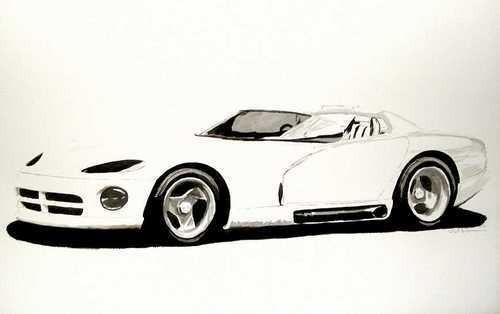 Watercolor painting of the prototype of the first Viper. 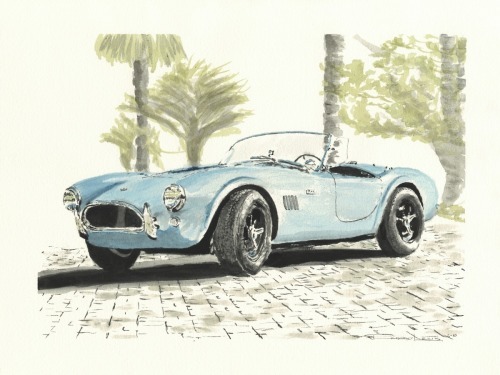 Cobra done on the computer in 1983. 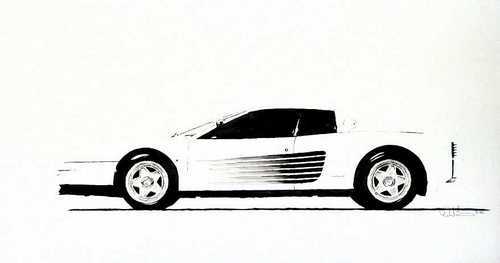 A very early piece of computer art. 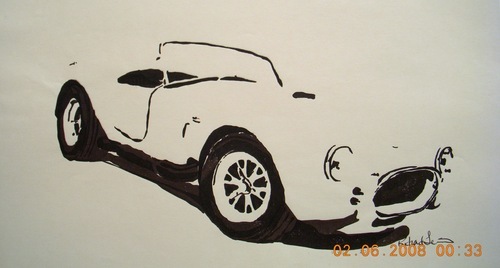 It was done on an HP computer and plotted with a pen plotter. 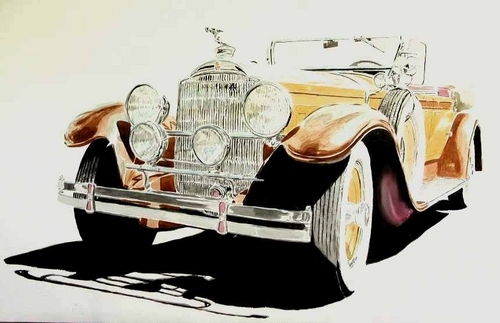 Back then there weren't any personal computers or color printers.